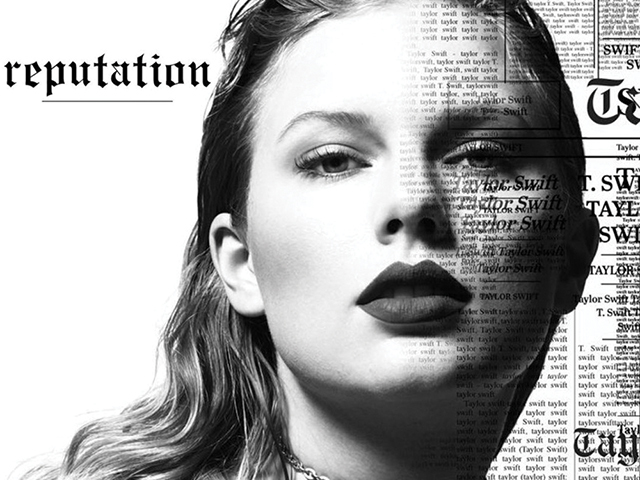 The once country queen turned pop princess has chosen not hide from her self-referenced “big reputation”, but rather use it as the motivation for her latest release in which Swift is at her most unapologetic, sexiest, and arguably most mature. That is not to say Swift is not still the master of pettiness, with every track resembling a very long winded sub-tweet about either an ex, current love, or someone whose wronged her in the past. However, the lyrics in her newest songs show a stronger, more realistic Taylor than the high school girl swooning over unobtainable love interests she portrayed in earlier albums. This newer, tougher Taylor can almost be cynical at times. “You were drivin’ the getaway car, we were flyin’, but we’d never get far, don’t pretend it’s such a mystery, think about the place where you first met me,” she sings on “Getaway Car”. This song is about running from one relationship to the next, dooming a new romance from the start. Swift especially exemplifies this harder external shell in “Look What You Made Me Do” in which she addresses nearly every criticism she has ever received—being referred to as a “snake”, always playing the victim, being a serial dater, and while the list continues, so does Swift’s ability to confront such denunciations with bold lyrical shout-outs to her haters. “The world moves on, another day, another drama, drama, but not for me, not for me, all I think about is karma,” she warns in between choruses. Despite being the first track on the album to be released to the public, many mocked “Look What You Made Me Do” for its over-dramatics (and, in fairness, is there anything cringier than when an artist talks mid-song? It never goes well, and Taylor’s attempt was no exception). Although revenge and a tough exterior seem to be the theme of Reputation, fans of Taylor’s softer works will not be disappointed, as a huge subject in her past works – vulnerability – crops up again in tracks such as “Delicate” and “New Years Day”. “Is it cool that I said all that? Is it chill that you’re in my head? ‘Cause I know that it’s delicate,” Swift sings in the Lorde-esque song “Delicate” as she questions the status of a new romance and fears she’s moving too quickly. Although Swift does give a nod to the possibility of heartbreak in a few of her latest tunes, Reputation has proved she that she is is far from any impending teardrops on her guitar.